Stay Involved – Parenting is a 24/7 Endeavor, But It’s Fun, Too! Be a parent first, and friend second. Young children require guidance, first and foremost. While it’s tempting to be a “buddy” to your child, remember that your #1 job as a parent is parenting. It sounds obvious, but needs to be stressed. Set firm rules – and follow through with appropriate consequences. Chores, on-time homework and other daily and weekly tasks are a great way for parents to offer crucial input and guidance. Whenever a rule is broken, be firm and resolute in carrying out punishment. But on the flip side, good parents also reinforce good behavior with rewards and incentives. Try as many parents might, kids are bound to make mistakes. Yet the best way to help them learn through the ups and downs is to let them solve problems on their own. Put up guiderails; don’t grab the wheel every time your child appears to falter. 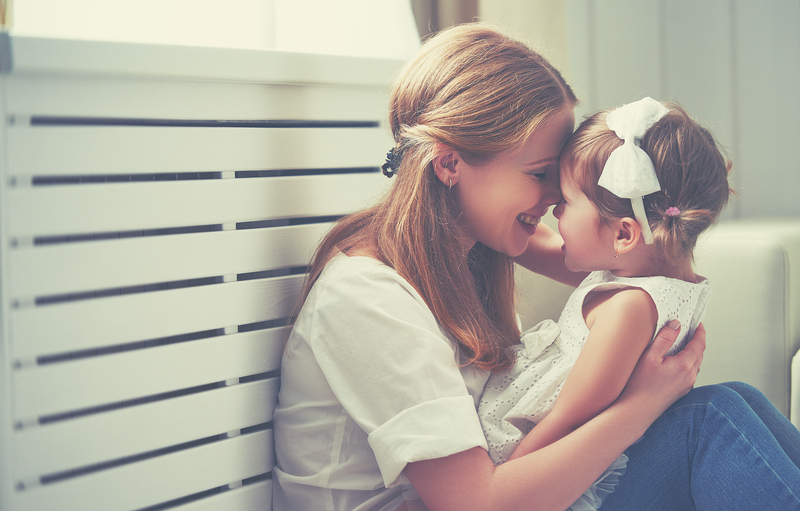 Despite today’s busy schedules with work, school and extracurricular activities, parents should always “connect” with their kids for at least a few minutes per day, preferably more. Even a 5-minute discussion about their day can spur positive personal development. Children thrive on positive affirmation, so make sure you set aside time each day to answer questions, offer advice, and just tell them they’re loved! While most kids aren’t crazy about broccoli, you can still try creative ways to cook healthy yet tasty meals. Exercise is important, too – sports and other activities foster development and help build strong bodies. And don’t forget about sleep. A growing child benefits greatly from a restful night’s sleep. As discussed above, no parent has ever raised a child without a few bumps and hiccups along the way. So don’t make mountains out of mole hills; learn to take each day as it comes, and realize that not everything is in your control. Come to grasp with this concept, and raising a child will be more rewarding, enjoyable and unforgettable than you ever imagined!